Trained extensively in the art of combat and espionage and outfitted with state-of-the-art tech, Natasha Romanova is the super spy known as Black Widow. Ryu won the Street Fighter martial arts tournament to test his skill, starting a never ending quest for self-improvement. 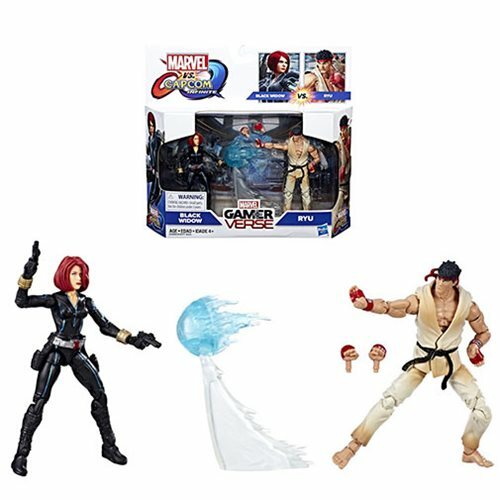 Imagine the clash of two universes with this Marvel Gamerverse 3 3/4-inch 2-pack of figures inspired by Marvel vs. Capcom: Infinite video game, including Black Widow and Ryu figures.